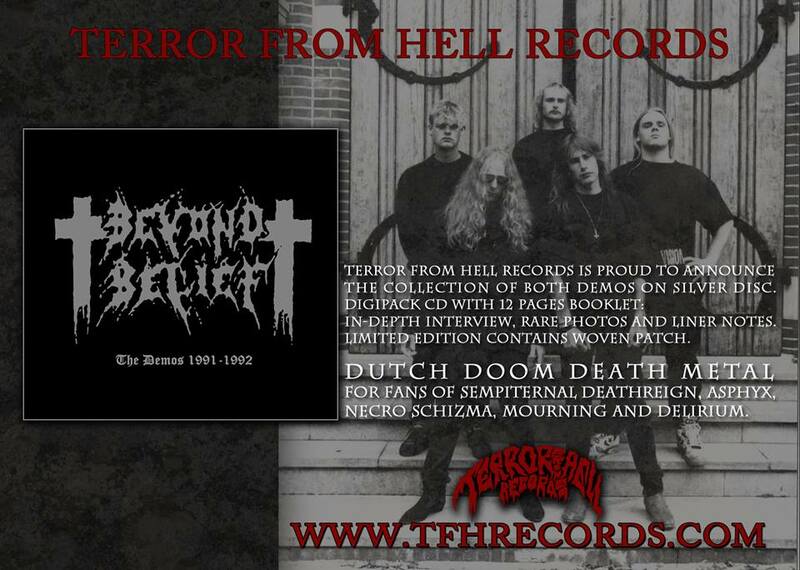 Hailing from the Netherlands, Beyond Belief first unleashed their oppressive death/doom manifestations back in 1991 (although they formed as far back as 1986) and their original demo’s Remind The Skull (1991) and Stranded (1992) have been re-packaged and arrive for re-discovery. Hideously oppressive, these eye-opening and vein-clogging death/doom demo’s suffocate and subjugate the listener with each punishing, languid riff. Refining the overly processed demonic vocals found on Remind The Skull makes Stranded the better of the two (an increase in production quality helps too) and the gurgling noise that erupts from A.J van Drenth often recalls Deicide’s Glen Benton with a serious phlegm problem. Admittedly, just a little variation wouldn’t have gone amiss but the likes of “Stranded” up the pace (for the intro at least!) while building an atmosphere of utter hopelessness throughout….and who doesn’t love a little depressingly bleak and brutal Sabbathian-esque aural beating from time to time?! Easily on a par with the early works of Asphyx and Sempiternal Deathreign, Beyond Belief deserve similar acclaim and these demo’s remain astonishingly heavy, mercilessly morose and deliver a brutal snapshot of when death and doom were merely in their infancy.